Bone cancers. 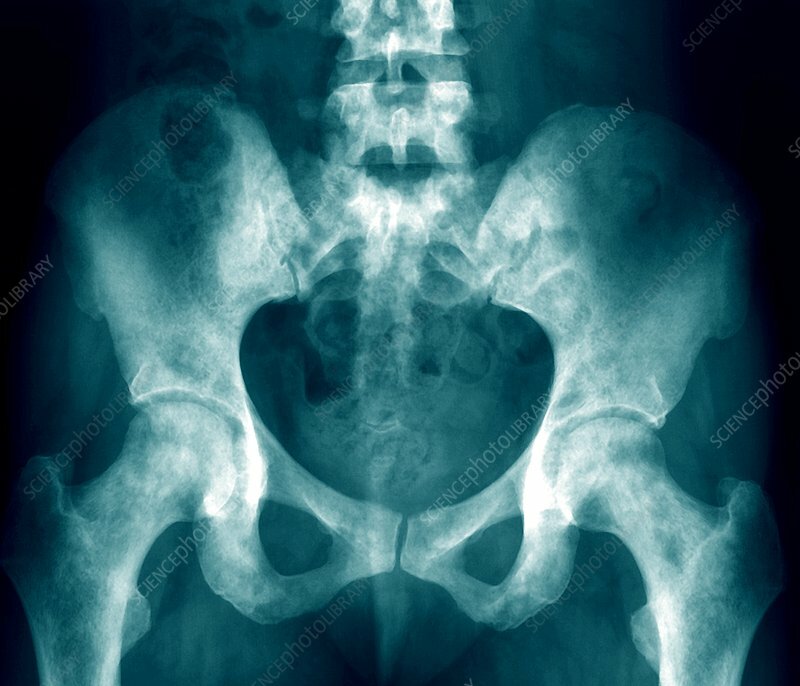 Frontal X-ray of a pelvis and spine with secondary bone cancers (dark patches, one at upper left). These cancers spread (metastasized) from a primary thyroid cancer. The thyroid is a gland at the base of the neck. Secondary cancers are treated by systemic (whole body) methods, such as anti-cancer drugs. Sometimes the spread of the cancer will be irreversible, and death results.